After achieving dexterity in sprouting wheat berries, we had been carrying out wheat grass sprouting commercially since our advent in the market. We dealt in variety of organic wheat grass seeds from the countries across the globe namely Texas, Utah, Montana, California, and Israel. Moreover we allow our clients to choose among variants like chemical free wheat berries, organic wheat berries, and certified organic wheat berries. 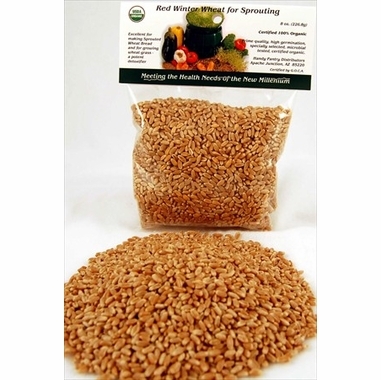 The chemical free wheat berries are sprouted with an alleged use of herbicide against weeds thus ends up with quality as well as taste enhancement. On the other hand, the organic wheat berries are sprouted with strict prohibition on the use of chemicals since ten years ago. The soil which spawns organic wheat has certain organisms within it that assimilate the minerals properly. Further we deal in certified organic wheat berries which differ from organic wheat berries only in a way of getting certification of being organic from concerned authority.